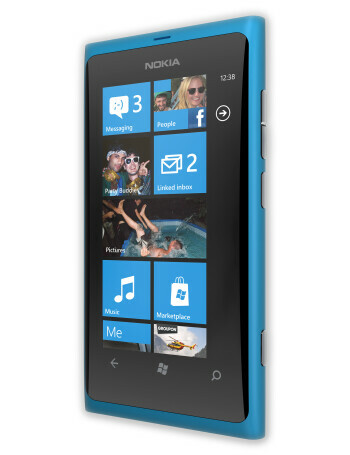 Nokia Lumia 800 - the first Nokia Windows Phone! 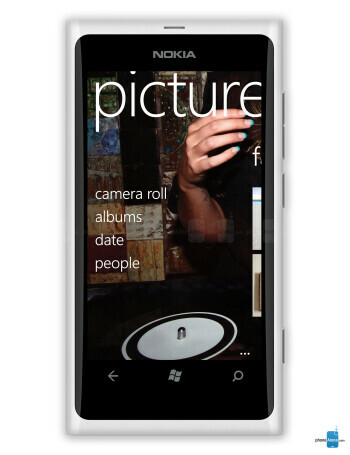 Stephen Elop actually went so far as calling it "the first real Windows Phone". Available in black, cyan and magenta, it is crafted in the ergonomic pillow-shaped form of the Nokia N9, made out of deep-colored polycarbonate, and sporting a 3.7" 480x800 pixels ClearBlack display, as expected. The handset is 0.48" (12.1mm) thick, on 124g of weight. 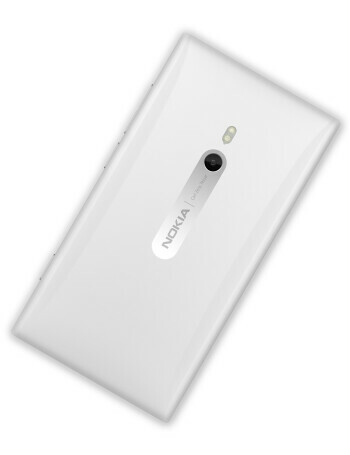 It is powered by a 1.4GHz processor, with 16GB of internal storage, 1540mAh battery and a microSIM slot. An 8MP camera with Carl Zeiss lens sports f/2.2 aperture and an optimized dual-LED flash aims to avoid washing out the details. A lot of the initial presentation was spent to tout features that already come with Windows Phone Mango - People Hub, Pictures Hub, Microsoft Office Hub, IE9 Mobile, Xbox Live, 25GB SkyDrive storage, etc. 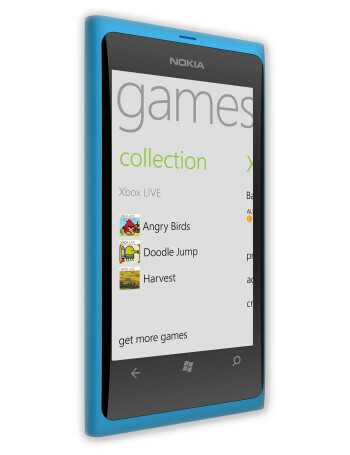 - which are a first for a Nokia handset, of course.